This extensive kitchen re-design and renovation is a total style change! 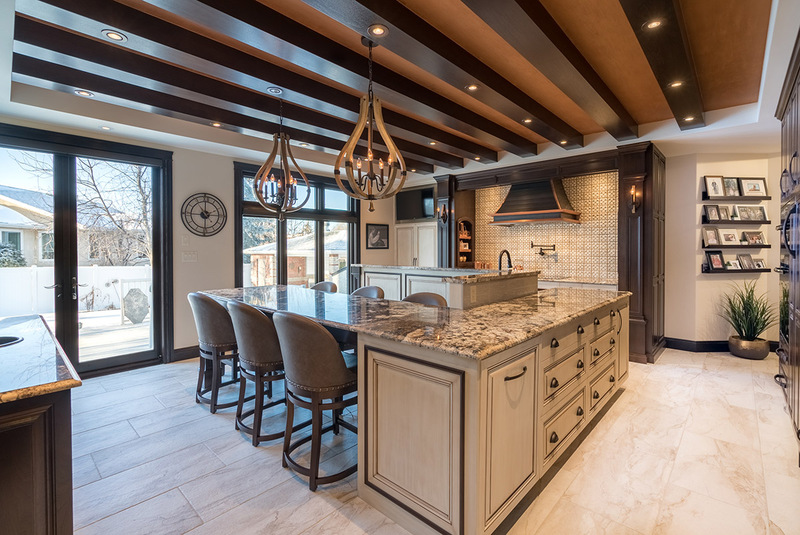 A tired 1980’s kitchen was replaced by gorgeous, traditional custom cabinetry by Palandri Cabinets. A large eating and working island along with state of the art appliances turn this kitchen into the true heart of the family home. Custom range hood by Hoppe Fine Metals. "Gisela and Bree-Anne were amazing to work with from start to finish on our renovation project. They took our dream and vision of a beautiful, functional kitchen and helped to make it a reality. We couldn't be more pleased!"